Collect a GREEN and a BLACK bag from the Campsite Recycling Pens and keep them by your tent. When you clear up, make sure you separate your recycling just as you would at home and put the recycling in the green bag. Anything that can’t be recycled can go in the black bag. What Goes in the GREEN Recycling Bag? The black bags are for all the things we can’t recycle, when these are full tie them up and put them in the other section of the Campsite Recycling pen. 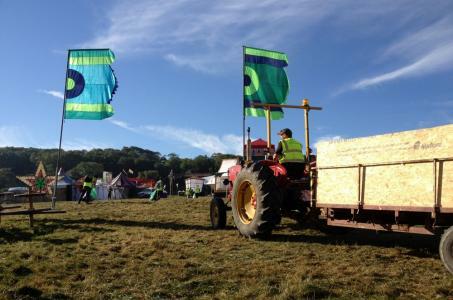 Let's work together to Keep Camp Bestival Tidy!